Tobacco related illnesses and deaths account for much of the medical expenses of the United States . The sad thing is that these illnesses and deaths can be prevented, and in effect, smokers are choosing their fate. As an employer, there may be things you can do to make people aware of the benefits of a tobacco free workplace, and one of those things begins with you. If you have smokers at the workplace, you know that the smoke is not only annoying to other workers but is also a health hazard. Healthcare costs are consequently increased, and insurance rates go up in workplaces where tobacco is used. 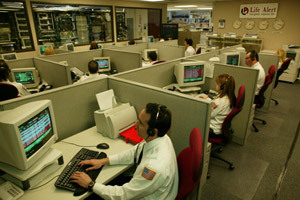 In addition, fire safety is decreased and absenteeism rises. As if to add insult to injury, a work environment with smokers has furniture that will always stink and must be replaced often. When you look at the whole picture, benefits of a tobacco free workplace are many and large. As an employer, you need to create firm smoking policies and make sure they are clear to your managers. Managers are the individuals who have to enforce them, so ambiguous or unclear policies will make them unenforceable. Perhaps you could also make a program incentive where nonsmokers and those who stop smoking for a certain period of time will get a bonus when the cost of healthcare goes down. Such action will provide more benefits of a tobacco free workplace. Many municipalities and states have laws concerning tobacco use at work, and violating them can cost the employee and your company money. If you are an employee who smokes, you are no doubt aware of what you are doing to yourself, and that quitting smoking may be as much a matter of self-esteem as health. However, you are also probably aware that your smoke harms others. Many people who smoke are considerate of others and choose a tobacco free workplace by smoking outside. There are many variations, but these are major themes that say, "This Company will not tolerate exposure of healthy employees to smoke, nor will the company pick up the tab for smokers' health insurance." Because smoking is a choice, this is only logical. If your company does not have a tobacco free policy then see your manager or other company representatives and inform them of the benefits of a tobacco free workplace. John Payton a staff writer for http://www.wellnessproposals.com located in Winston Salem, NC. His company is a one of a kind, independent wellness consulting agency which assists groups in their search for affordable wellness programming. Utilizing their fast, free, no risk, no obligation proposal service groups can receive proposals from up to 30 different wellness companies. John's work can also be found on http://www.infinitewellnesssolutions.com.